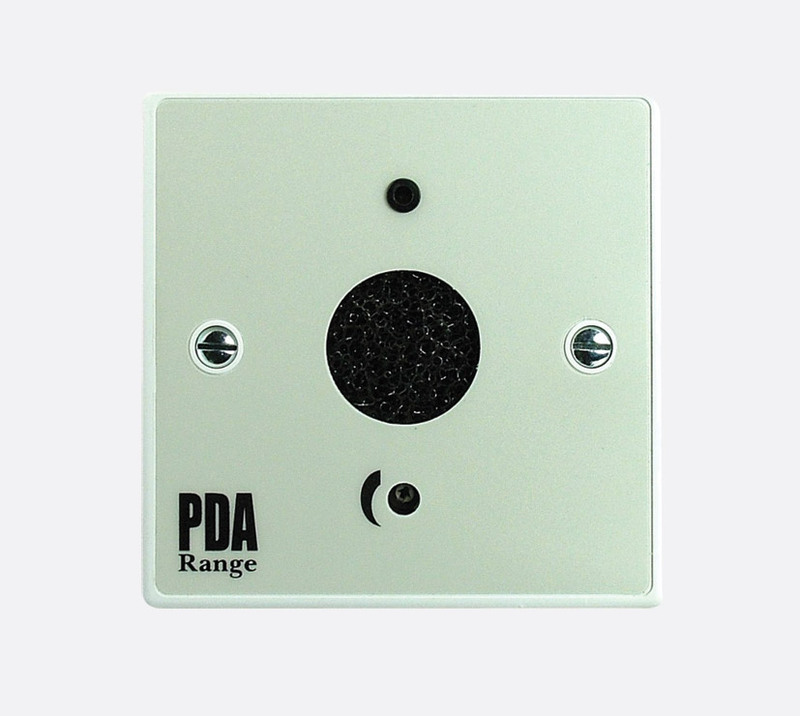 These are a range of audio 'input plates' which fit in a UK standard (BS1363/BS4662), 25mm deep, single or dual-gang, electrical back-box. Designed to increase the audio input capability of an induction loop system, they cover most common variants of audio connector as well as inbuilt microphone. When installed at the most convenient point of an installation. mounted on wall, ceiling and desk, they overcome the need for long and potentially hazardous microphone and audio leads. 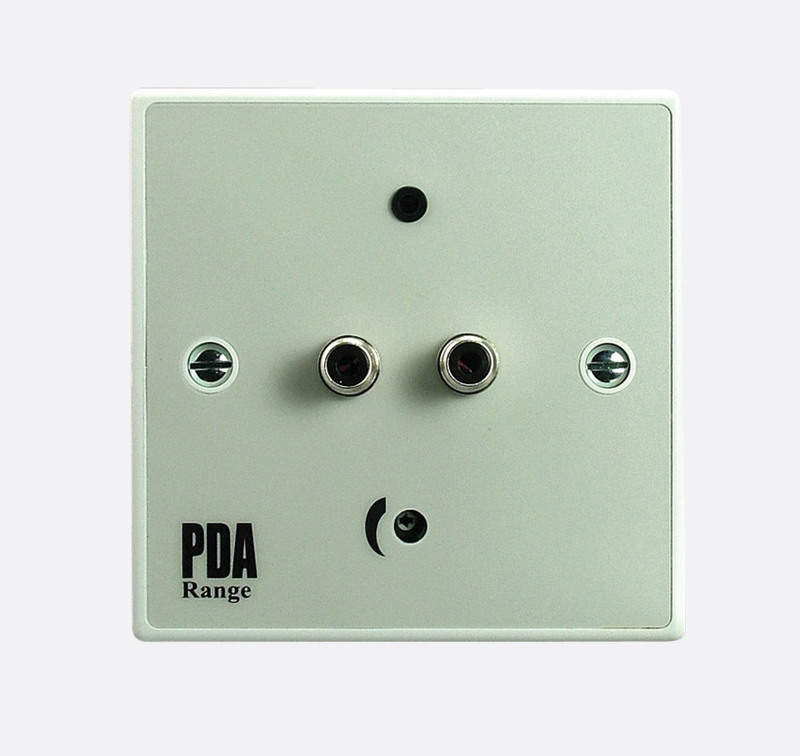 Two further plates are available, a 'Balanced Line Output Plate' to feed third-party audio equipment and the The 'Afils Active' indicator plate. Each Outreach plate requires four wires; two balanced line (A +, A –), one ground (0V) and one power connection. Power source: 12 to 37V DC, regulated, 6 to 11mA. Many Signet AFILS loop amplifiers are fitted with an Outreach socket, but if the Outreach system is to be used with third party equipment which does not have a suitable DC power an external supply may be used, such as the APV Outreach plate, which is mounted in a dual-gang plate to fit UK standard back boxes, and requiring AC mains wiring, so should be installed by a suitably competent technician. Line inputs: Balanced/unbalanced, 0.775Vrms (0dBu), 10kohms. Line outputs: Balanced, 0.775Vrms (0dBu) + 6dB (overload), less than 100 ohms. Response: 90Hz to 20kHz. Insertion loss/gain: Less than +/- 0.05dB. 'Insertion signal to noise ratio': '79dB THD + noise: 0.07%'. Accepts 'unbalanced electret microphones with 3.5mm mono jack plugs. Includes an onboard mic to line level converter, high gain pre-amplifier and 8V phantom power'. Accepts 'balanced or unbalanced microphones with standard 3 pin XLR connectors. Includes an on-board mic to line level converter, high gain pre-amplifier and 8V phantom power'. Accepts 'balanced or unbalanced electret microphones with 6.35mm (1/4 ") jack plugs. Includes an on-board mic to line level converter, high gain pre-amplifier and 8V phantom power'. A 'self-contained omni-directional electret microphone complete with onboard mic to line level converter. 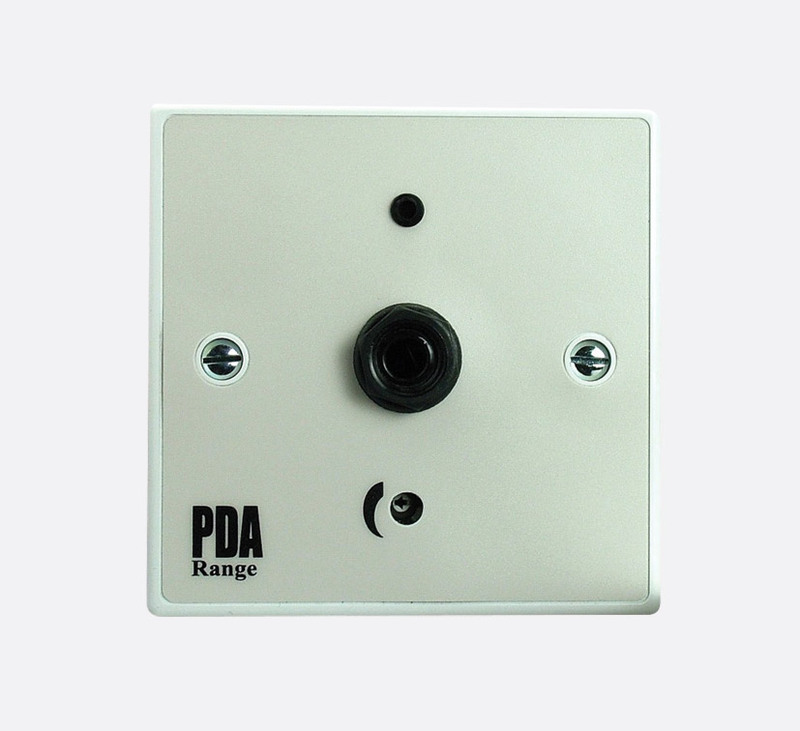 Typical coverage up to 25m2 (ambient) or 2.5m (direct speech) when located at a ceiling height of 2.5-3m'. Input signal level: -40dBu to -30dBu. Input gain control: 8 to 0dB. Input impedance: 500ohms. Phantom volts: 11V/0V (link selectable). Signal to noise ratio: better than 60dB. Distortion: Better than 0.07% THD + noise. Accepts 'stereo phono line-level signals (usually from a stereo source such as a TV). Includes an on-board stereo phono to mono converter'. This has two RCA (phono) inlet sockets. Input signal level: -10dBu to +6dBu. Input gain control: 8 to 10dB. Input impedance: More than 1 kohm. Signal to noise ratio: Better than 71dB. Distortion: Better than 0.03%THD + noise. Provides 'an adjustable balanced line output (+12B max.) on a standard 3 pin male XLR connector. Typically used to connect an Outreach chain to third-party audio equipment such as conventional amplifiers.' Maximum XLR output signal level: +12dBu, balanced. Noise: -95dB. Output level control: 8to +12dB. Distortion: Better than 0.01%THD + noise.